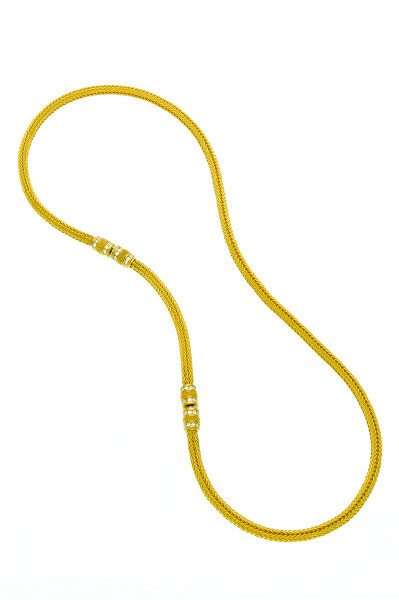 Our 22K gold Floating Chain with Spacer is hand-woven and measure 20” in length. It Has a removable 3″ extension and features 1.20 ctw diamonds. When we make our woven chains we start from scratch. Molten gold Is first cast into an ingot and then drawn into a wire. Hundreds of links are made from this wire and then woven together. Custom lengths and sizes available upon request.